There’s no doubt that white teeth are beautiful teeth. Unfortunately, what we eat and drink on a daily basis (coffee, for example) has a major impact on our pearly whites. So, how exactly can you have white teeth whenever you want? Your first thought may be to head to the grocery store for at-home whitening kits. What most people don’t realize, though, is that these products fail to provide long-lasting results. That’s why we recommend going to the dentist for professional teeth whitening. At Flossn LA, the teeth whitening treatment we provide patients is completely safe. There’s no need to worry about dangerous chemicals or unnatural-looking results. 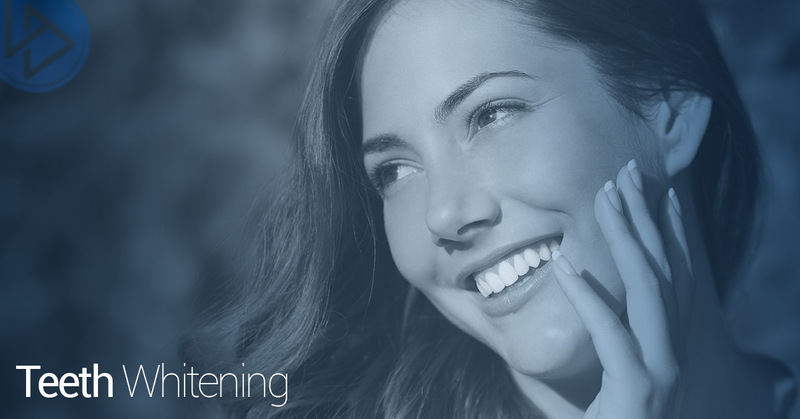 Our Los Angeles dental office is proud to use the latest teeth whitening technology. We know that your time is extremely valuable, which is why we do everything possible to get you in and out. Whether you have an upcoming job interview, date night, or you’re simply tired of hiding your stained teeth, Dr. Finley will customize a treatment to fit your needs. 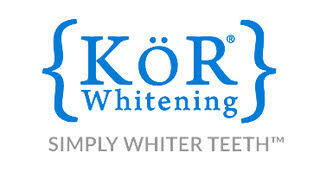 What makes Kor such a popular choice among cosmetic dentists? For one thing, it’s the only whitening company to insist on continuous refrigeration of their gels from the moment of manufacture until they arrive cold-packed at the office. If you’ve been searching for an effective teeth whitening product that doesn’t involve lasers, then be sure to ask Dr. Finley about Kor. Note that this system is available for both daytime and nighttime whitening. Want to learn more about Kor before scheduling an appointment with us? Then check out the Kor website. Dentists and patients alike have relied on Opalescence for more than 25 years. Here’s the thing: Opalescence gels contain an active whitening ingredient that penetrates the enamel to reach discolored molecules. Next, oxygen molecules from the whitening agents react with the discolored ones, breaking the bonds that hold them together. As the oxygen molecules spread, the tooth becomes whiter. So all you’re left with is a brighter, more beautiful smile. Pretty cool, right? Similar to Kor, the Opalescence system is completely safe. Opalescence PF take-home whitening contains anywhere from 10 to 45 percent Carbamide Peroxide concentration and in mint, melon, or regular flavor. Plus, this sticky, viscous gel won’t migrate to soft tissues. Who says you can’t have a million dollar smile without breaking the bank? See what our cosmetic dentist can do for you. Experience a new level of dental care today.